There are a lot of women who turn to breathing techniques during labor. These help because they increase the amount of oxygen that becomes available to the mother and the baby. They make it easier for the mother to handle labor and she will be more satisfied with her experience. How does the breathing technique when being in labor help? According to the studies conducted the relaxation techniques, such as the breathing techniques, reduce the chances of women needing assisted birth or a C-section. If you experience what happens if you lose control of your breathing will show you why is rhythmic breathing so important. When you don’t use breathing techniques while being in labor and you become scared or stressed, your breathing becomes rapid and shallow. The shoulders get pulled towards the ears and the shoulder and neck muscles become rigid and tight. This is how panic starts. If you aren’t using breathing techniques during labor you will be breathing with short grasps. This way your body will have less oxygen and the baby will also have less oxygen. You might feel lightheaded. The mouth can become dry and you may feel needles and pins in the arms and fingers. This reaction is common in case of stressful situations. The sad truth is that the body can’t function in this state without becoming exhausted. 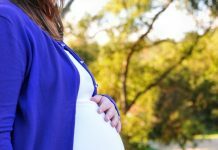 You should be using labor breathing techniques to save your energy and to offer the baby all the oxygen that he or she needs. Rhythmic breathing can really make a difference. If you would like to use breathing techniques during labor, you should start with closing your eyes for a bit. Focus only on your breathing and notice its rhythm. After you breathe in, there is a short pause and then you breathe out. Breathing in and out has the same length and depth. In case of the breathing patterns during labor it is important to maintain this rhythm. Breathing in shouldn’t last longer than breathing out. During the contractions the breathing can become shallow. This is something normal and it is alright unless the breathing doesn’t become too fast. One of the breathing techniques during labor that you could use involves repeating the word ‘relax’. It has two syllables. When you breathe in say to yourself ‘re’ and when you breathe out say ‘lax’. Focus on saying this to yourself and don’t allow your mind to wander away. When you breathe out and you use breathing patterns for labor you should let go of all the tensions of your body. Think of the muscles that you are using and the tension that they have. Just focus on relaxing and nothing else. If you attend birthing classes for sure you will learn about breathing techniques during labor. You should practice them so that they become natural for you to use when you are actually in labor. Also use them in your everyday life when you are stressed or worried. 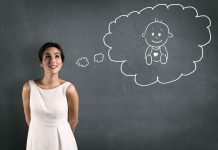 Previous articleHow Does Pregnancy Information Help You?